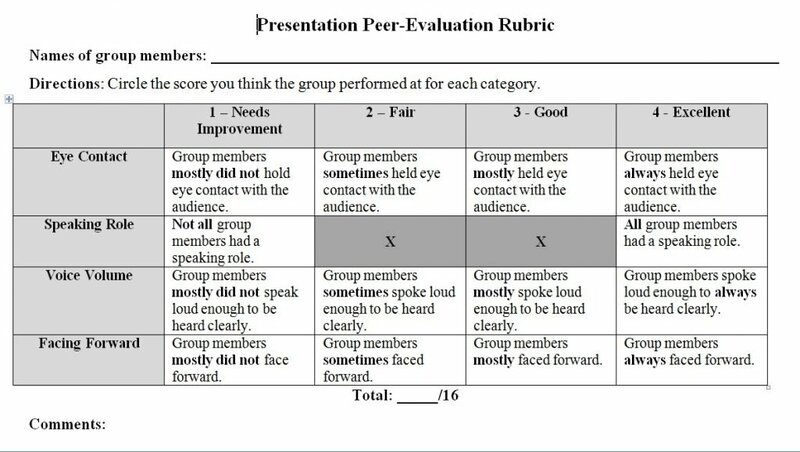 Talented student teacher Kevin Inlay created this simple and effective speaking rubric that we used with class presentations in our ELL World History class. Reviewing it ahead of time and then using it made a tremendous difference in the how students spoke. He gave me permission to share it here, so feel free to download and modify. Let me know if you have other very simple rubrics you’ve successfully used for different classroom lessons and that you’d like to share! I’m adding it to The Best Sources Of Advice For Making Good Presentations.